Today is the Reveal for August's selection of the Inspired by Reading Book Club! 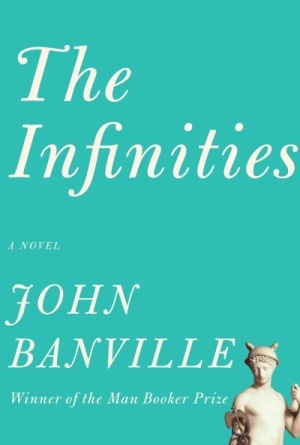 We read, "The Infinities" by John Banville. Many of the members felt that this was a more challenging read and just couldn't get into it. The elevated language, complex sentence structures, and flitting narrative voice certainly didn't make it an easy read! One of the members described the style as, "Yoda and Freud's lovechild with a thesaurus." In an interview, the author mentions how his goal is to make "prose as dense as poetry". I think he achieved his aim. Even still, the author is able to lushly paint the scope of an alternative reality through one day in the dysfunctional Godley family. The story is told through cerebral wanderings, drifting back and forth through the lives (and seemingly random thoughts) of a theoretical mathematician who is in a coma, his two children, his wife, the housekeeper, his daughter-in-law, his would be biographer... and even his dog. Joining this cast of tragic characters are none other than the Greek gods, Hermes and Zeus! And without further delay... here's the REVEAL! 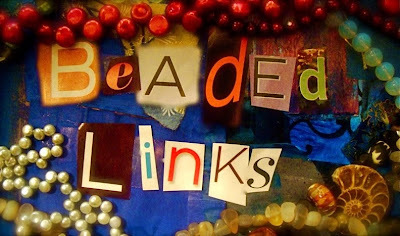 Using an assortment of blood red beads, Laurel Ross created this multi-strand bracelet. 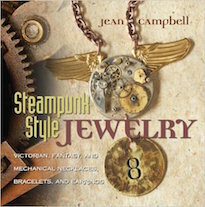 The bracelet was inspired by a scene towards the end of the book involving the daughter, Petra. Here's a different view of the bracelet. 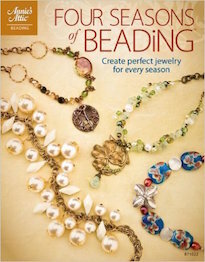 I love how all the different lengths of strung beads gives a very full and cascading look. Amy Roadman made this "infinity" necklace out of cat's eye and sapphire-colored faceted stones. 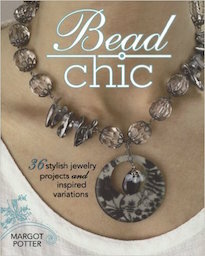 It's a really long necklace that can be worn in one long length or doubled up for a multi-strand look. She said the color palette of the necklace came from Zeus's thunderclouds. This is my piece! I debated about what I was going to do, but finally decided on making a ring. I created the band of the ring by beadweaving size 11 Japanese delicas with the peyote stitch. I used a Greek key-pattern. For the focal of the ring, I sewed on a vintage button and set a Mercury-head dime in its center with two-part epoxy clay. Mercury is the Roman name for Hermes. I wanted to feature Hermes since he is one of the main narrators of the story. We had a really good night at book club. I always enjoy the group that we've put together. Not only do we talk about the book and the things we've made, but we talk about our lives and we've grown together as friends. 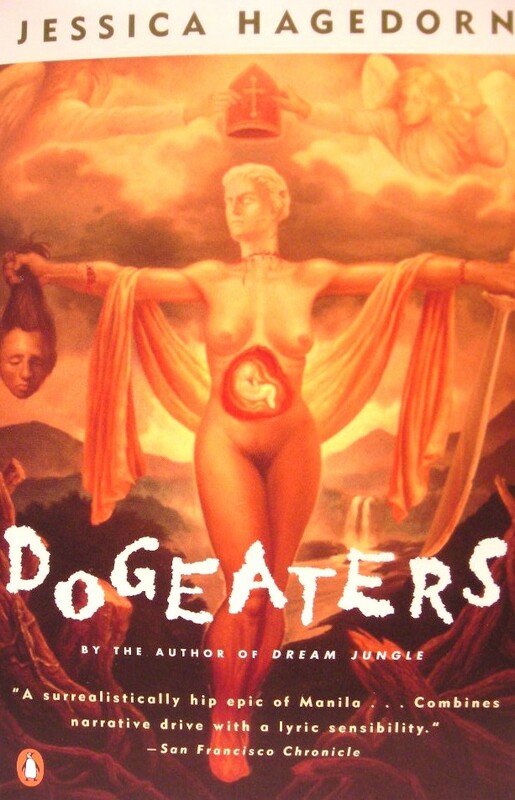 The next book for the book club is, "Dogeaters" by Jessica Hagedorn. For this year's full list, CLICK HERE. The list for next year will be coming soon! The in-person meet up is schedule for Tuesday, September 24th! It's also going to be my impromptu birthday get together. I'll be making all kinds of Fillipino cuisine. The next blog hop is Wednesday, September 25th! If you're interested in keeping up with what we're doing, CLICK HERE to visit our Facebook group page. It's no big secret that I love books. I particularly love craft books. When we were kids, there was an old red barn behind the house, complete with a rusty corrugated steel roof and splinters galore. Inside of the creaky old barn were mysterious, moldering cardboard boxes from the previous owners... one of which contained back issues of Pack-O-Fun! It was like we won the lottery! I vividly remember whoops of joy and animated jumping up and down! Armed also with our Childcraft How & Why Encyclopedia Set from 1960, we felt like we could conquer the world! The truth of the matter was that we didn't have a lot of money and store-bought entertainments were few and far between. Crafting transformed piles of junk into bygone pastimes and opened up a fantastical new world with simple, everyday objects and a little bit of creativity. 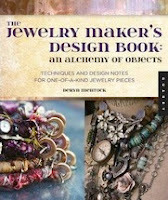 I have a soft spot for craft books. They turned what would have been a rather bleak and meager childhood into a rich and colorful experience. 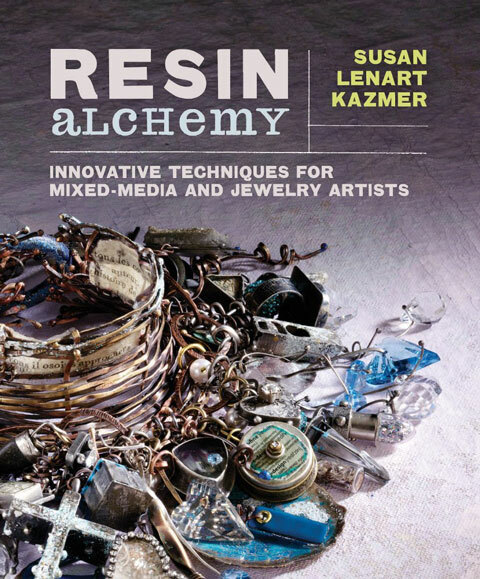 Making Etched Metal Jewelry: Techniques and Projects, Step by Step by Kristen Robinson and Ruth Rae. The Jewelry Maker's Design Book: An Alchemy of Objects: Techniques and Design Notes for One-of-a-kind Jewelry Pieces by Deryn Mentock. 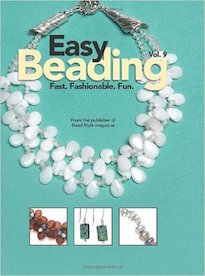 Explorations in Beadweaving: Techniques for an Improvisational Approach by Kelly Angeley. 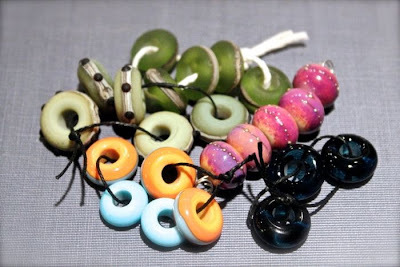 Hot and Cold Jewelry Connections: How to Make Jewelry With and Without a Torch by Kieu Pham Gray. 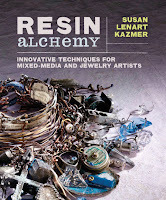 Resin Alchemy: Innovative Techniques for Mixed-Media and Jewelry Artists by Susan Lenart Kazmer. 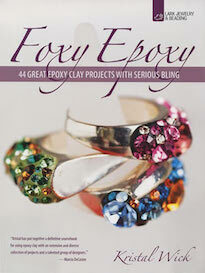 My friend and fellow jewelry artist, Aisha Formanski, is coming out with a new book! 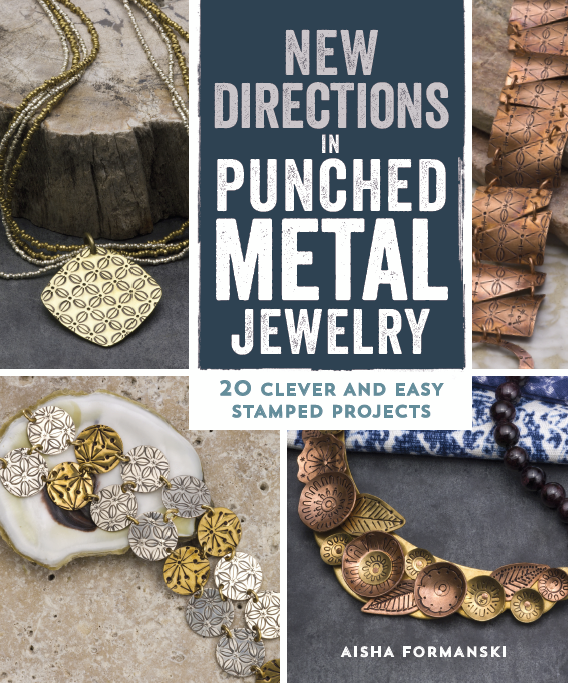 It's all about punched and stamped metal jewelry. It's called, "New Directions in Punched Metal Jewelry: 20 Clever and Easy Stamped Projects". I remember talking with her about it when it was just a wee twinkle in her eye. Now it's the real deal! To find out more about Aisha and her book, make sure to "like" the new book's Facebook page by CLICKING HERE. You can also pre-order the book by CLICKING HERE. One of my favorite parts of the big shows doesn't actually happen at the show, but when one gets home. While there's a pang of sadness for not being surrounded by your "tribe", you also get to go through all your goodies acquired throughout the trip. When you spread everything out, all thoughts of hurting feet and an aching back disappear and all you are left with is an overwhelming sense of satisfaction. 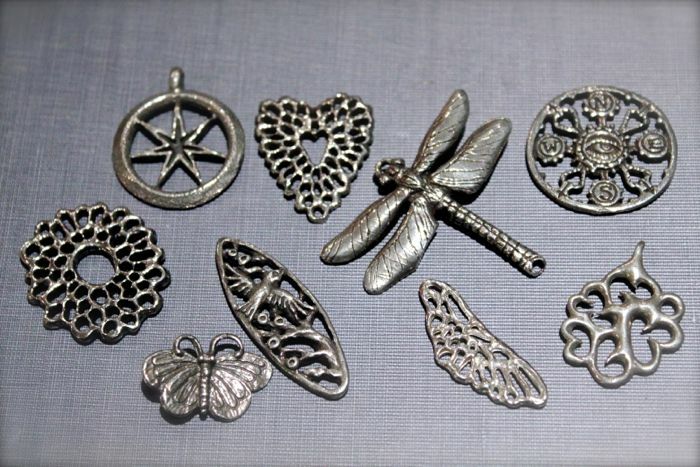 Here are some fine pewter from my family at Green Girl Studios. These are just some of the new designs! I love all the open lattice work and lacy designs! 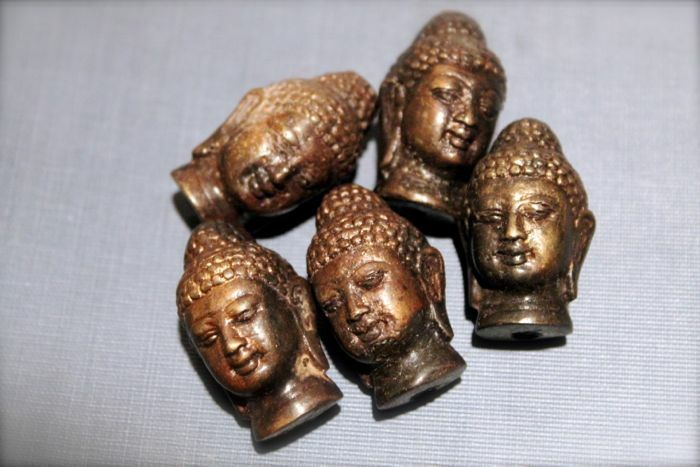 These are new Art Metal Components by Anju from The Bead Place. The contrast in metal colors really makes these organic charms pop! Check out the lampwork glass beads from Sue Kennedy! Some of them have large holes and can fit the Pandora-style bracelets. 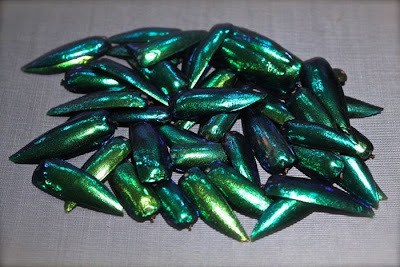 Isn't this urchin-textured lampwork glass "Bead of the Year" from Genea Knable fun? This one is going in my private collection! Another master of the earthy and organic is Staci Klinger Smith. 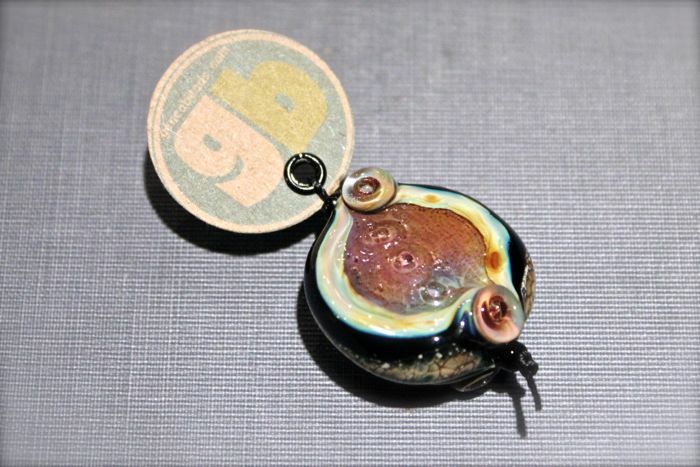 Take a look at this crackle-glazed porcelain focal pendant by her. Aren't these just juicy? Diane Hawkey mixes deliciously saturated glazes with rustic glazes for an updated ancient look! I love the iridescent highlights that she has been adding! Light and pretty, these hollow porcelain beads are from Nancy Adams of RoundRabbit. 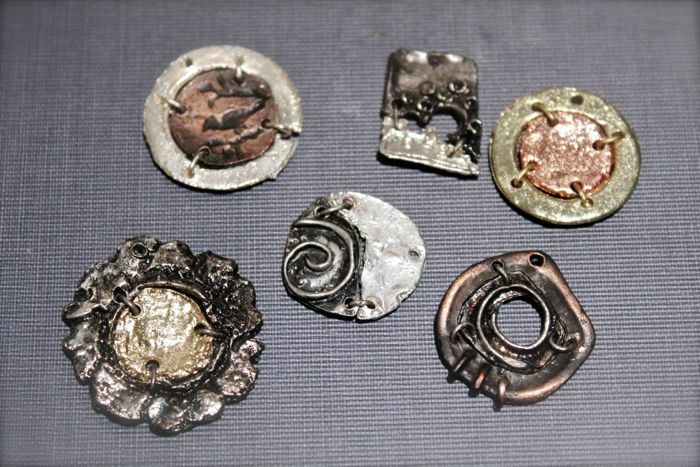 I love the motifs! 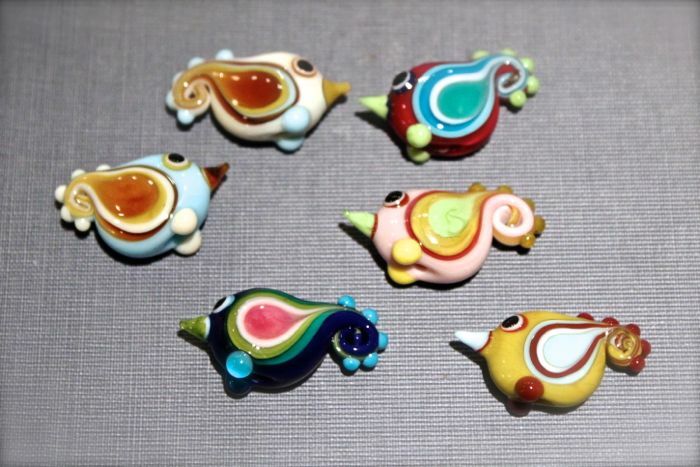 "Cute" in a good way, these paisley lampwork glass bird beads in bright colors are from Patti Cahill. These are boulder opals from Kia. I love Kia's stuff. It's always a surprise at her booth. 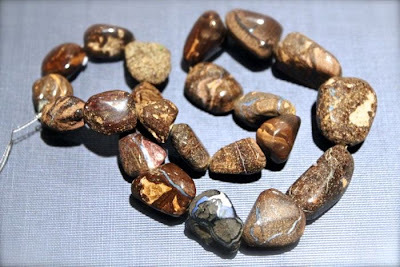 She's got the earthiest and most lovely rough stones. Look closely to see how the brown, wood-grained stone has swirls of pale blues and flashing greens. These new rings are also from Kia; these ones are set with aquamarine, kyanite, and sapphire. These were an early birthday present from William. 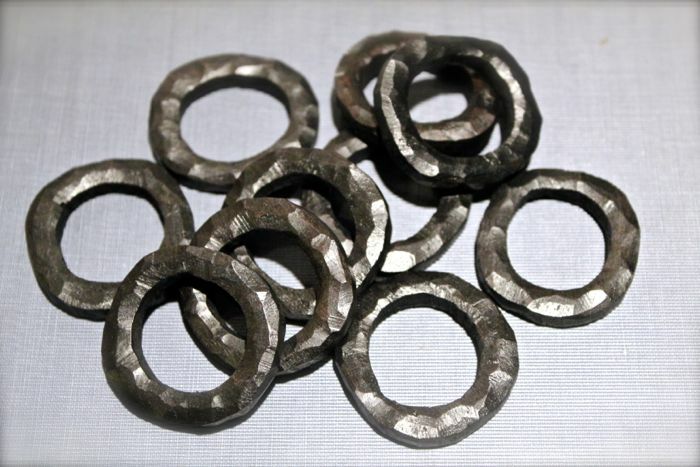 If people like them, I am considering carrying them in the shop. This picture does not do the kyanite justice! There are no inclusions and it's perfectly clear. 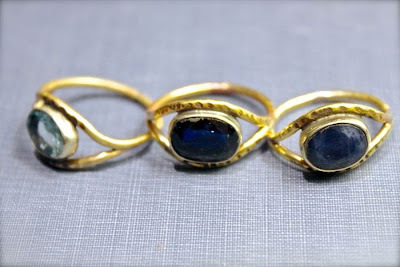 The stone is dark blue and I originally thought it was a London Blue Topaz or a sapphire. 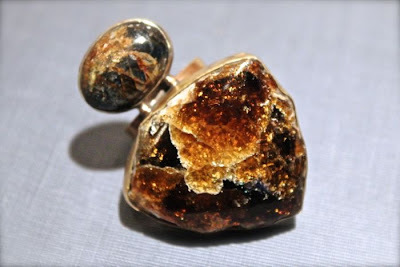 I was deeply surprised to find out that it was in fact a kyanite! This is William's new ring by Kia. 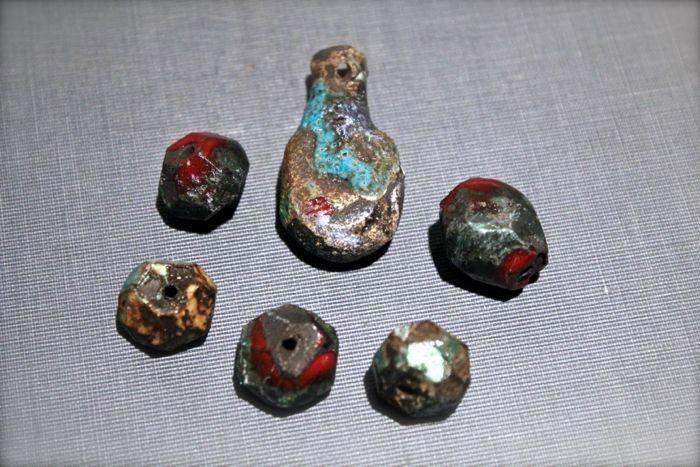 It is set with greenish-blue kyanite and dravite tourmaline. It's a whisky brown with shocks of burnt orange and flecks of green. I've wanted to get some of these for awhile now. I figured that since the color of the year is emerald, I might as well! These are iridescent Beetle shells. Done in the style of Lou Zeldis, these are carved blackwood rings. 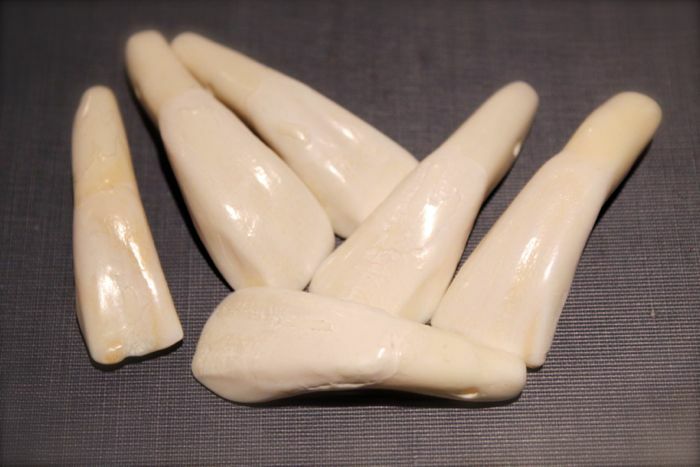 It might be hard to believe, but we've sold out of all of our wolf teeth beads. I had to restock them when I had the chance! 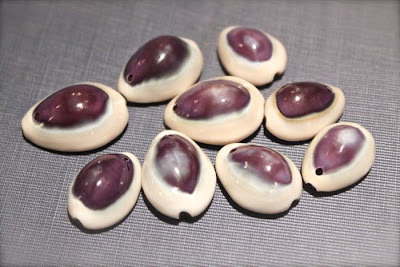 I adore the purple and white cowrie shell beads. In some parts of the world these act as currency. 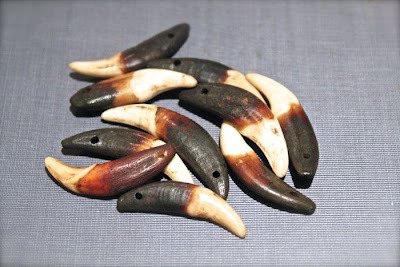 Always on the look out for unusual beads, I found these water buffalo teeth pendants. 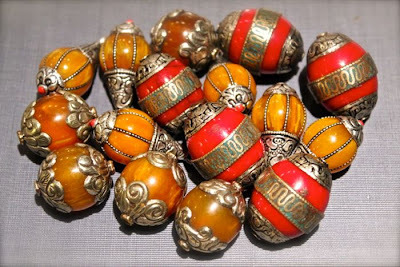 Here are some Tibetan-style capped and inlaid resin beads. I love the warm, rich amber color. They've got such a wonderful feel. 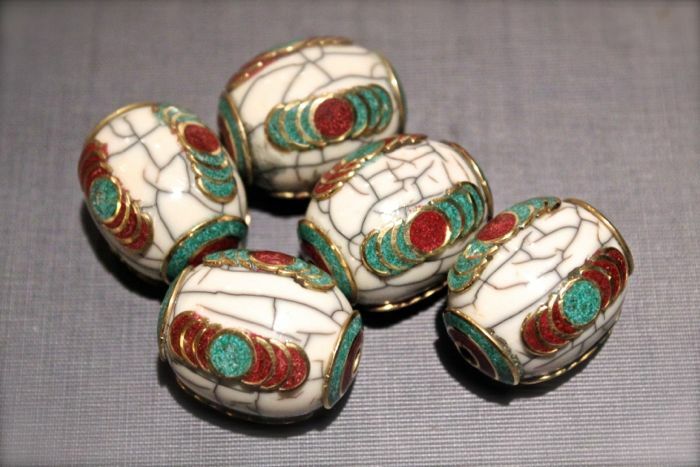 These are Tibetan-style inlaid conch shell beads with crushed coral and turquoise. I picked up some new metal Buddha head beads. They are hollow, which makes them extremely lightweight. The big shows are always a blur. It always seems as though there is never enough time to see everyone and see everything. While this trip was decidedly more relaxed in pace, it still went by too quickly. Usually we wake up dark and early and make the trek across the state, do the show, and then drive back. This time we took a few days. It was less frantic and less exhausting. I took some pictures, but not as many as usual. William snapped a lot of pictures though. Not just of our adventures in the show, but also of some of the things that we did while in Philadelphia. CLICK HERE to check out the album on his Facebook page. Brenda Schweder from Now that's a Jig! Patti Cahill from Dyed in the Fire, Diane Hawkey, and Jenny Davies-Reazor. Colin Mahler and Aisha Formanski from Beaducation. 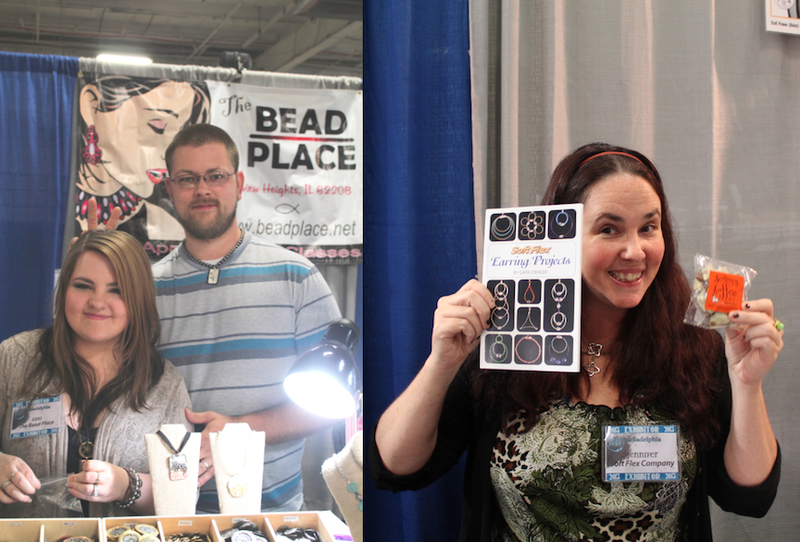 Abbi Berta and Michael Davies from The Bead Place and Jennifer Wilson from Soft Flex Company. My future co-teacher, Lynne Suprock from Simply Pretty Stuff. We'll be doing an Art Doll/Miniature Book Intensive at the end of October at the NEW Allegory Gallery Annex! 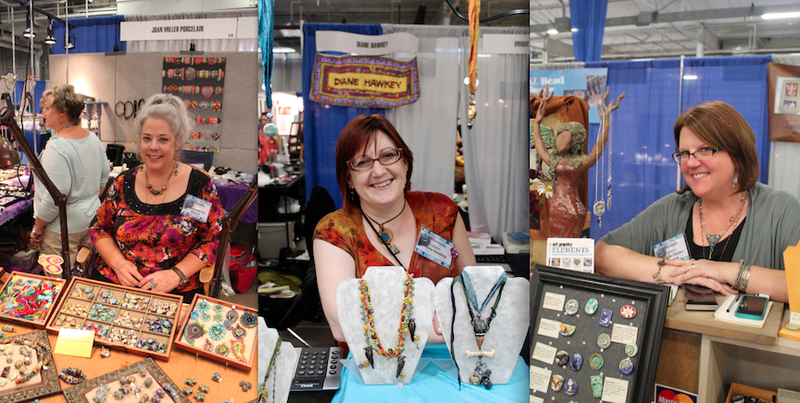 Sunyoung Hoffman from Ezel Findings, Marti Brown from the Dragon's Odyssey, and Liz Chumtong from Saki Silver. Jill Wiseman from Tapestry Beads. Kate Richbourg (torch and all) with her assistant Barbara in front of the Bead Goes On booth. Have a great story about learning the Kumihimo braiding technique? Lisa would love to hear about it! Say goodbye to summer but not your flip flops with this fun flip flop earring tutorial! 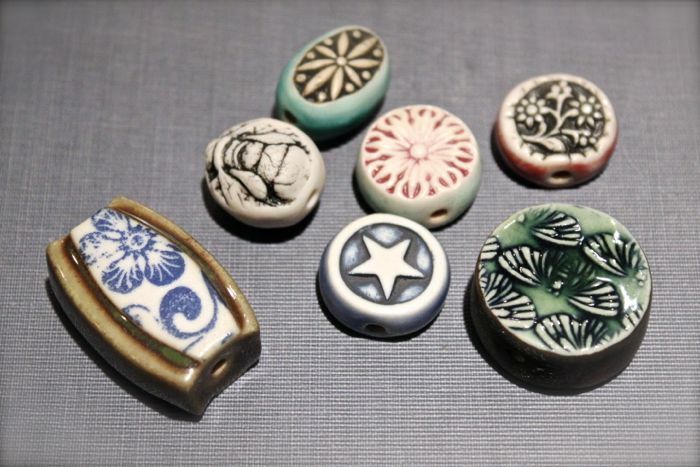 Check out Brandi's colour palettes drawn from ceramic beads from Pajego Art House! Yum! 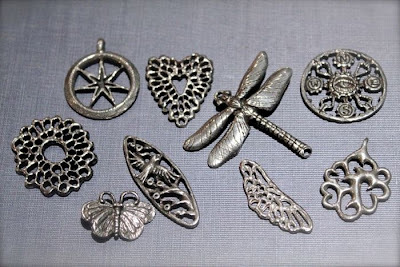 Cyndi shares information on finishing metal clay pieces with a great patina. 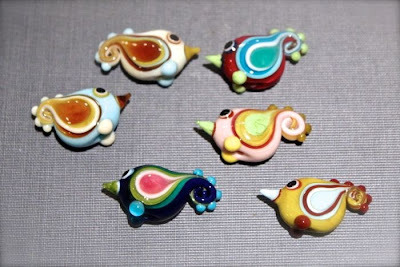 A simple resin bird mold beads a wonderful piece of jewelry. 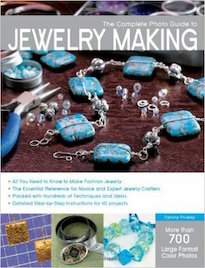 Jean shares a great free guide to etching jewelry by Jewelry Making Daily! It is great! Chevrons are trending now and have found their way into one of Andrew's bracelets! One of the lovely ladies that helps out at the shop from time to time recently opened her own store! Jill is the proprietor of the newly launched, Church Mouse Emporium. It's housed in a charming stucco building in Westmont (a neighborhooding suburb of Johnstown) on a tree-lined street right across from Stackhouse Park. Westmont has beautiful, large historic homes and is the perfect place for Jill's new shop. Church Mouse Emporium features an eclectic mix of antiques, vintage furniture, and home decor items at very reasonable prices. I'm so proud of Jill and wish her much success in her future venture! She's hardworking and dedicated and I am positive that it'll be a hit! Also in the same building is Mill House Cafe. April and Dave Buckwalters, who own a shop in Ligonier called Dovecoat, just opened it and offers a selection of coffee, sandwiches, and ice cream. 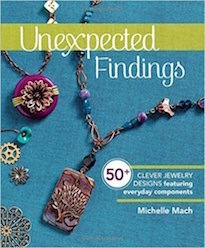 It's super cute and offers a great companion to Jill's shop. You can read more about the Mill House Cafe by CLICKING HERE. No, the title of this post doesn't reference a misspelled, inappropriate selfie. It's actually about my most recent acquisition from Christi Friesen! Christi had a sale via eBay, where her clever polymer creations were auctioned off. Mine is named, "Skimmer" and he's fashioned after a family of brightly colored, soft-bodied, mollusks (that shed their shells early on in life) called, nudibranchs. 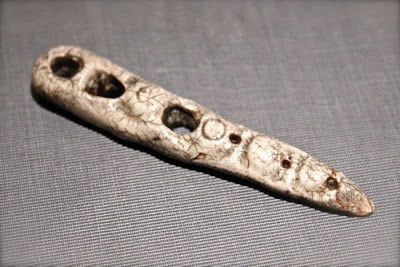 He has two magnets on the back and can be used as a decoration for metal surfaces or as a brooch! Skimmer will live in a curio cabinet of mine with other artisan-made small-scale sculptures. CLICK HERE to check out more of Christi's whimsical work! 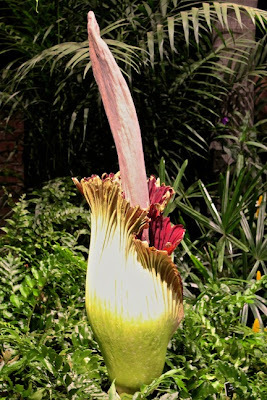 What makes this such a special event is that generally the flower blooms once every ten years and when it does bloom, it only lasts for 48 hours. It's probably a good thing that it doesn't bloom year round... at the height of its blooming cycle, the flower emits a smell that is very close to rotting flesh. The stench helps attract pollinators (like flies and carrion beetles). Due to the short timeframe Romero has to bloom, Phipps stayed open late... like 2AM kind of late! Hundreds... if not thousands... of people stood in line to see (and smell) this rockstar of the botanical world. Just like a rockstar, people wanted to take pictures with him and had their phones out uploading pictures to their favorite social media sites. Here is a picture of Romero in all his glory. I love the deep red color and adore the ruffled edge of the bloom. To find out more about corpse flowers, CLICK HERE. It was a really nice evening and we had a lot of fun wandering around the conservatory and of course seeing Romero in bloom. It's a very rare opportunity. And... just like a rock concert, we got home just before sunrise! I was really impressed with the new space. They took a former furniture store that sat empty along Route 30 and transformed it into a fantastic venue to showcase art. One of the things that I loved about the selection from the permanent collection is that they opened up the vaults and brought in parts of their collection that I have never seen before. They still have some of the much loved local favorites like the pieces done by the Scalp Level painters, but there's also newer work on display. Not only did they do a great job putting together the galleries, but they also did a wonderful job on the gift shop. 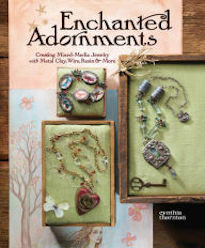 It's bright and airy and features a bounty of work from American artisan craftspeople. Our neighbors (across the street from Allegory Gallery) at G Squared played a major role in getting it set up beautifully. Not to be missed is the massive Pop-up Exhibition featuring works by Brian McCall, Ryan Taylor and Joe Wos. A good portion of the bottom half of the temporary museum holds the new group show. The pieces are edgy, playful, and colorful. The Pop-up Exhibition is up until September 1st and is definitely a must see. I was looking through some fashion magazines and noticed how a lot of stuff was dripping in chevron patterns. I've always loved this design motif. I remember looking at a Kenneth Noland painting for the first time and feeling the strong directional force of the stacked arrows. I got some hex cut seed beads in and my fingers were itching to do something beady. So, I roughly drew out the chevron pattern and went to town! I used peyote stitch to make this bracelet. I love how the hex cuts lock together, but don't cause the piece to go completely rigid. Not only is there a nice fabric-like flexibility, but there's the added bonus of a little flash of sparkle with the galvanized gold beads. It's nothing over the top crazy, but I enjoy the simplicity of the piece. I was going to dress it up with some other things sewn on, but I'll let the chevrons do the talking.